Self Cure Remedy details of Chew fennel seeds for the care and relief of Vomiting, including effectiveness and popularity scores of the remedy. Fennel has been used since ages to treat digestion related conditions including intestinal gas, flatulence, nausea and vomit. The Anethole compound in fennel is responsible for its carminative action. It prevents formation of gas in gastrointestinal tract and also encourage expulsion of gas. The bioactive compounds of fennel relax smooth muscle lining of the gastrointestinal tract preventing such problems as bloating, flatulence and nausea. Add one tablespoon of crushed fennel seeds and let them steep in a cup of boiling water for 10 minutes. Strain and drink. Do not take fennel if you are breast-feeding. 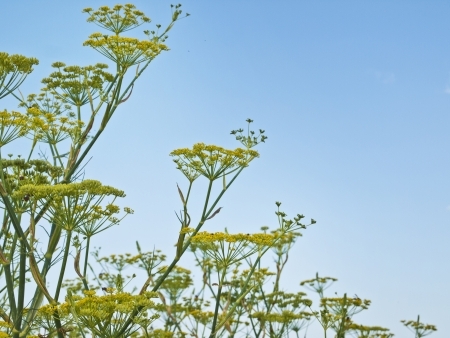 Taking fennel can make skin extra sensitive to sunlight for some people. Fennel might cause an allergic reaction in people who are sensitive to celery, carrot or mugwort type of plants. Fennel might slow blood clotting. Use caution if you have bleeding related conditions. Stop taking fennel at least two weeks before a scheduled surgery. The self cure remedy of Chew fennel seeds for the care and relief of Vomiting has an effectiveness score of 3.0 and a popularity score of 4 on the self-cure system.